Rent Turner Carroll Gallery | Corporate Events | Wedding Locations, Event Spaces and Party Venues. 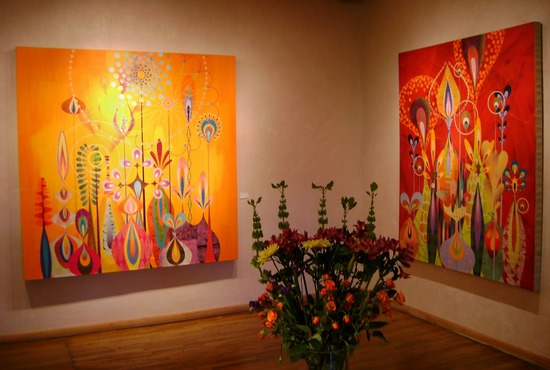 Unique and established, the vision of this gallery since its inception is to source significant artwork of our era from diverse areas of the world. The art historical significance of the artists the gallery represents is of extreme importance to the gallery. Established in 1991 by Tonya Turner Carroll and Michael Carroll, Turner Carroll Gallery + Art Advisors represents important international contemporary art. The gallery is constantly considering the new international art movements/developments which presuppose historical significance, and the gallery owners travel extensively to curate exhibitions for the gallery from other parts of the world. Thus far, the gallery has featured important contemporary exhibitions from Romania, Ireland, France, Russia and Mexico. Some of the museum collections which feature works by our artists include Russian Academy of Art Foundation, The Vatican Museum (contemporary collection), Irish Museum of Modern Art, The Whitney Museum of American Art, The Metropolitan Museum of Art, Philadelphia Museum of Art, National Museum of Women in the Arts, Museum of Modern Art, The British Museum and the Fine Arts Museums of San Francisco.